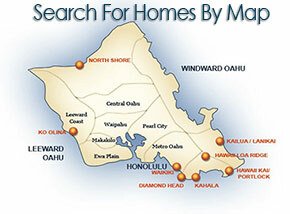 Finding a good mortgage lender for a home in Hawaii seems daunting at first. Aloha Hawaii Homes has been working with various Honolulu Mortgage companies and one of the most reliable, professional and helpful groups we've worked with has been SmartMoney Inc. Our agents bring knowledge from across the state and all have enjoyed working with SmartMoney. One of our favorite Hawaii Mortgage Lenders is William Rodriguez at SmartMoney Inc. William is known throughout the real estate community for his approachability and knowledge of markets and values. As Vice President of sales, all of the staff at SmartMoney have followed William's lead in maintaining lasting relationships with their clients. By putting customers and care first, SmartMoney has established itself as a respected leader in Hawaii's mortgage industry. SmartMoney runs through extensive steps to ensure you get the home you want at an affordable rate. If you're a first-time buyer, their officers will take the time to explain every step of the way. If you are looking to refinance your home or want a smooth and swift loan process, SmartMoney specializes in that as well. Owning a home is a dream for just about everyone, and getting there can be easy if you have the right team on your side. 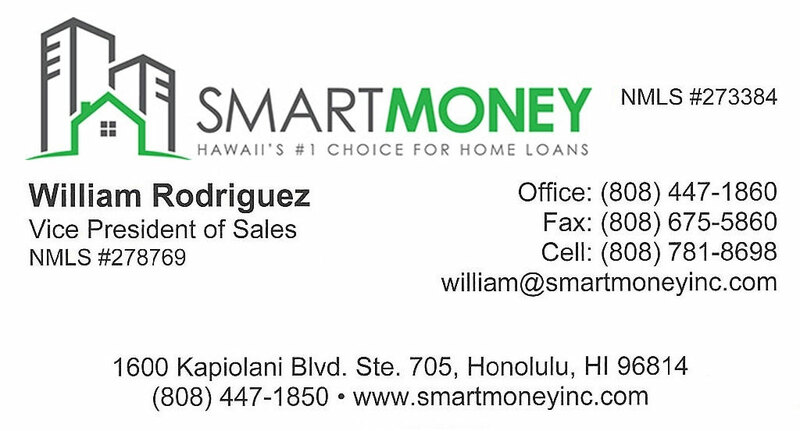 To easily get in touch with William, you may email him at william@smartmoneyinc.com or call him at 808-447-1860. Looking for the perfect home on Oahu? Chances are you'll want to check here first. Use our helpful links below to search for real estate in all of these great areas.